I love it when a company has kits available that give you everything you need to have a great manicure. 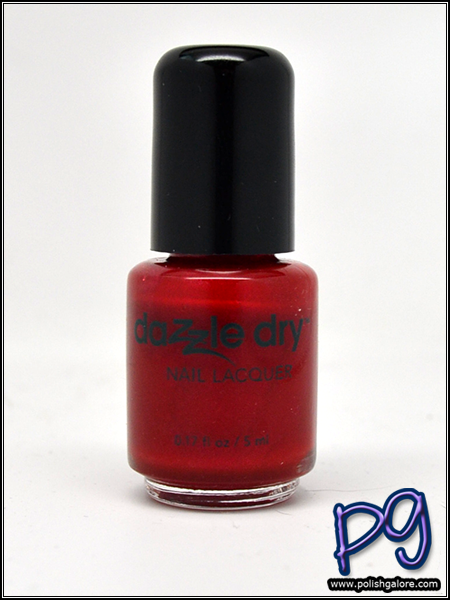 Today I have a new favorite - the Dazzle Dry Mini Kit with High Velocity Red - a red with a slight violet shimmer that can make you conquer any Monday. The Mini Kits come with a 0.25 fl oz vial of Nail Prep, a 0.17 fl oz/5 mL bottle of Base Coat, Color (High Velocity Red for this package) and Top Coat along with very detailed instructions. First you are told to prep your nail. You can gently buff using a 240 or finer grit buffing block (I prefer my Tweezerman one) if you feel necessary. Next wipe each nail thoroughly with the Nail Prep. Your cotton pad needs to be wet/saturated, not just damp and some nails may need to be wiped twice. Surprisingly, this is NOT a dehydrator, like you find with gel polishes. Instead, it's infused with hydrolyzed protein, proVitamin B5 and calcium to strengthen your natural nails. Next is to apply the Base Coat. Now, the very first instruction says that the Base Coat must be clear like pure water before using and if it's not, immerse the bottle (cap closed tightly) in warm to hot water for a few seconds. Here is my Base Coat straight out of the package and next to the Top Coat to show that yeahhhhh I needed to get some water around that bottle. Now why do you have to do this? Because science. This is after 30 seconds in warm to hot water (inside of a shot glass). Good enough. So you're to apply the Base Coat generously and completely on the nail, dipping the brush into the bottle before each nail. You're also supposed to wrap the nail tip with Base Coat which is a good practice for ANY manicure. Finally, you're to apply TWO coats of Base Coat. That one is new on me, but I'll do it. I think it's because of all the extra vitamins and good stuff. You will need to wait 1-2 minutes before applying your color - basically when your nail looks matte or isn't sticky/feel wet to the touch. I had to wait a little closer to 4 minutes but I'm also in a whole bunch of sticky humidity here in South Texas. Now for the color. On the first layer, you're told to just use little pressure and get it on your nail - don't go over the same area more than once. Wrap your tips, and ignore any uneven coverage on this layer. Hard one for me to do, but follow directions. Then after you've done all 10 nails (or waited the approximate time), go for your second coat and this time, you can even out but don't over brush and don't forget to wrap your tips. At this point, I was just a little surprised to see that this color appears to be matte or at least it was drying to a matte finish. 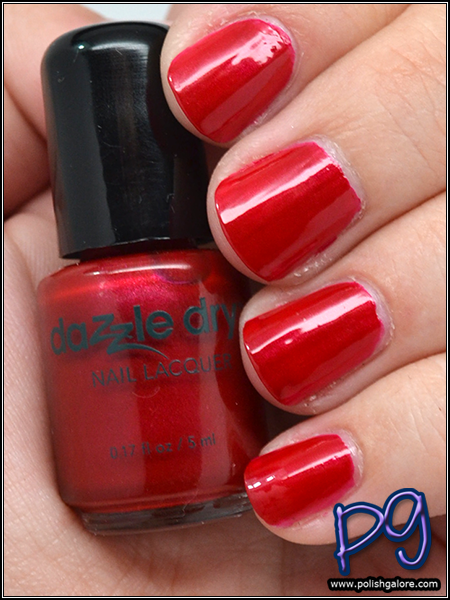 Finally, apply a generous layer of Top Coat and wrap the tips and wait 5 minutes for your polish to set. I used a small bead of Top Coat on the brush to make sure I was getting plenty on there. If you check out my Snapchat, I actually did a "wipe test" to see if my nails were really dry and THEY ACTUALLY WERE. I'm really pleasantly surprised. Unfortunately, I'm not able to do a wear test this time but they do claim that the longest recorded chip-free wear with natural nails was 5 weeks. Granted, your body chemistry may be different but I am happy if I get 5 days out of nails. I really like this color. It's a great go to color especially for the office for me. There's just something about red nails. I also really like the idea of the Mini Kit for friends, family, stocking stuffers. 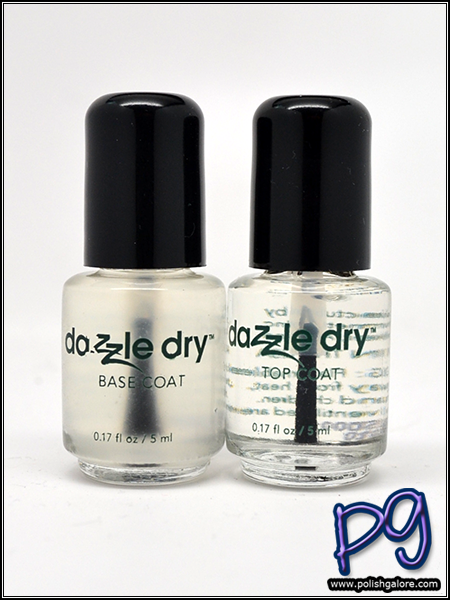 There are currently 29 different Mini Kits available on the Dazzle Dry website. 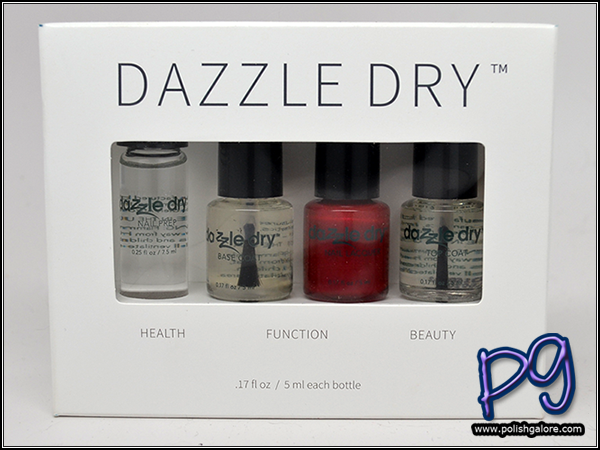 Dazzle Dry is available on their website and in select spas and salons across the USA. Join the conversation on social media with Facebook, Twitter, Instagram and YouTube. 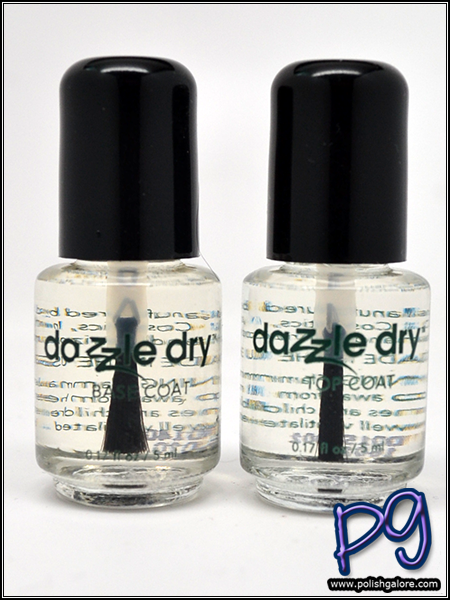 As a bonus, I had a small sample of Dazzle Dry's Lemongrass Nail Polish Remover with Lemongrass and Clove Essential Oils. I have to say, A+ on the removal - no staining and it's a very nice smell... If you have Nail Butter, it's that same smell!